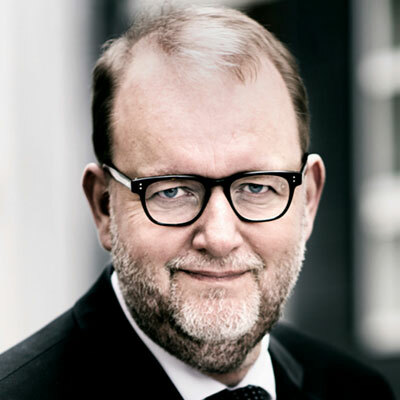 Lars Chr. Lilleholt was born on March 2nd 1965 in Odense. He is married to Jane Lilleholt. Minister of Energy, Utilities and Climate from June 28th 2015. Member of Parliament for the Liberal Party from Funen since 2001. Spokesperson on energy and climate policy for the Liberal Party and member of the Climate and Energy Committee 2005-2015. Clerk of Parliament 2011-2015. Member of the management committee of the parliamentary group of the Liberal Party from 2008, secretary of the parliamentary group from 2011. The Danish Journalist School, Aarhus, 1989-1993. Studies of Economy and Society, Odense University, 1985-1988. Member of Odense Town Council from 1994, member of the Urban and Cultural Committee, group chair of the Liberal Party’s town council group from 2006. Political vice chair of ‘Dansk Fjernvarme’ from 2010. Member of the board of ‘Energi Fyn’ from 2010. Vice chair of ‘Fjernvarme Fyn’.